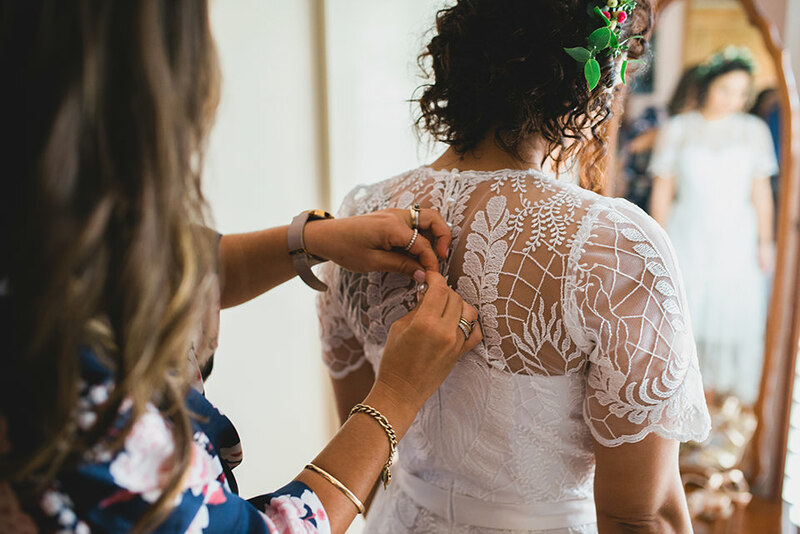 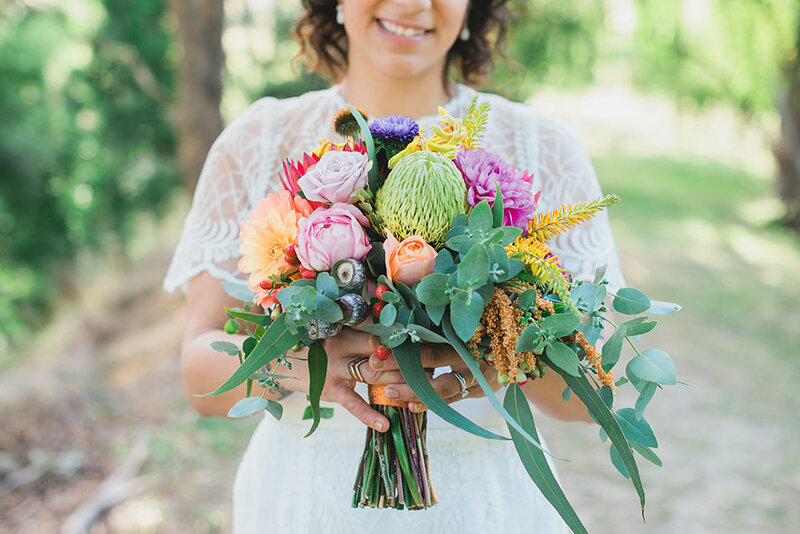 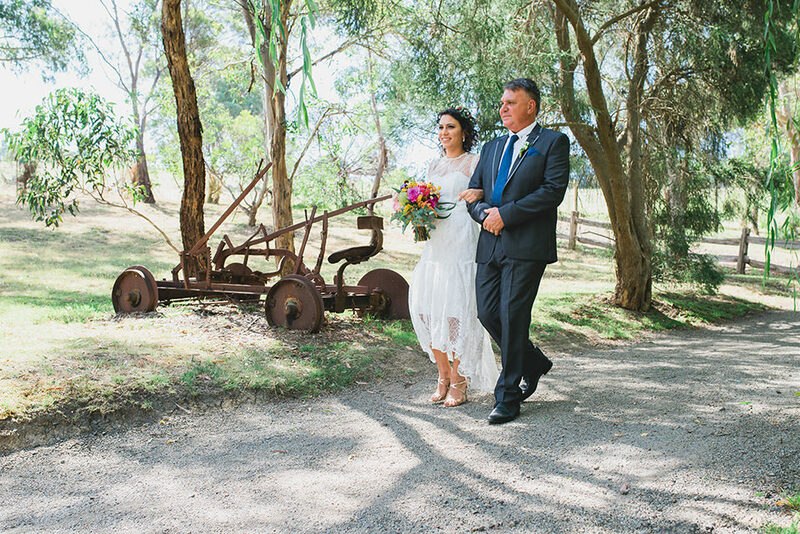 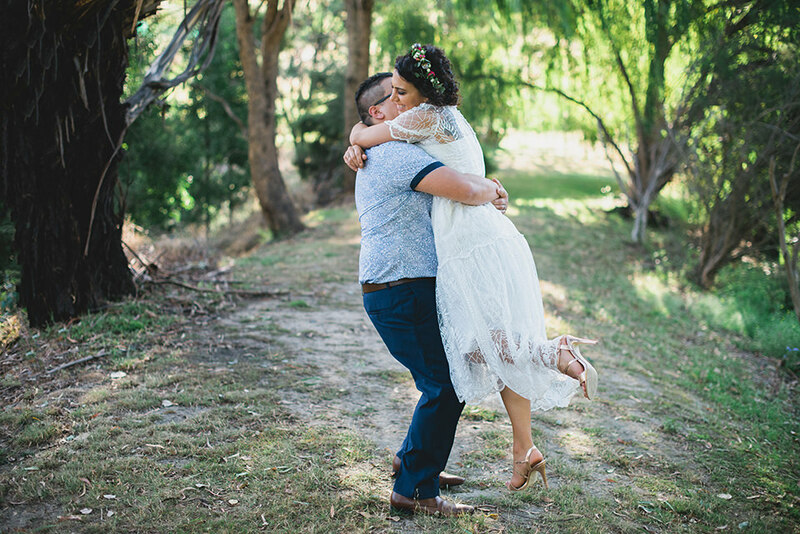 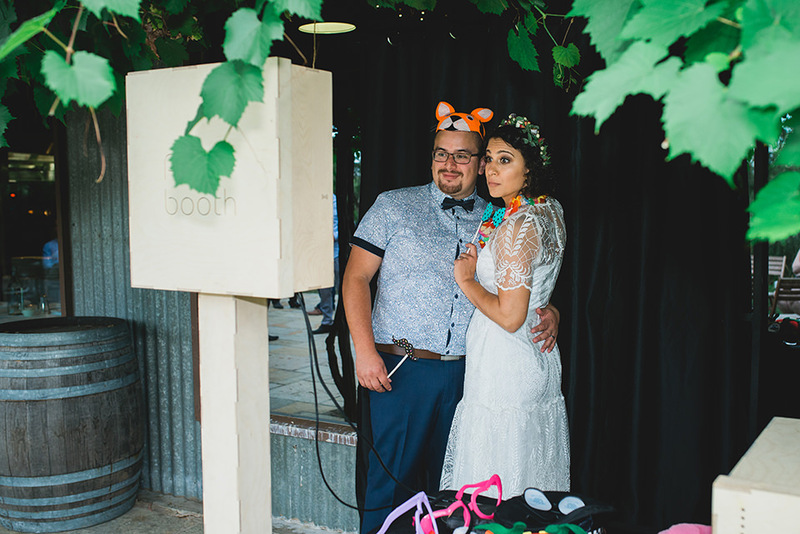 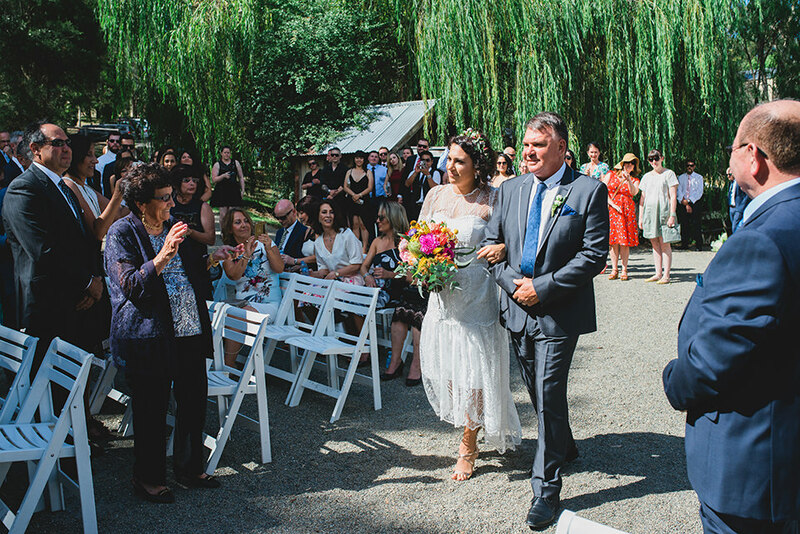 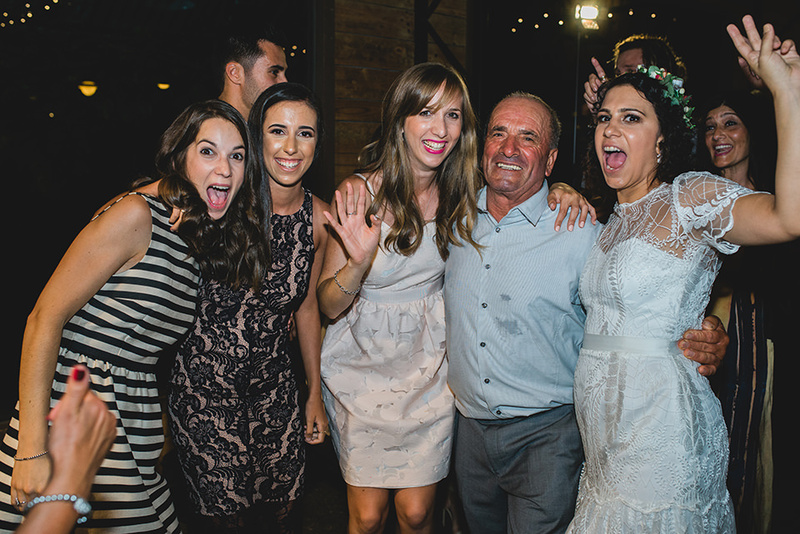 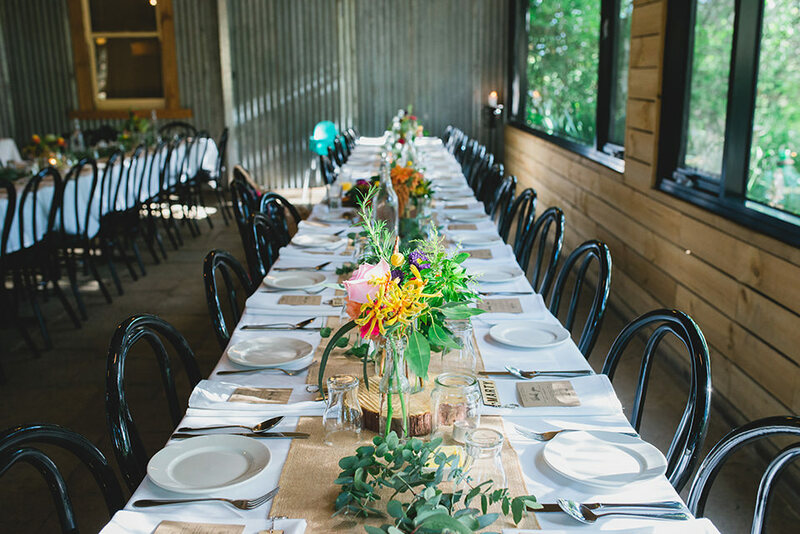 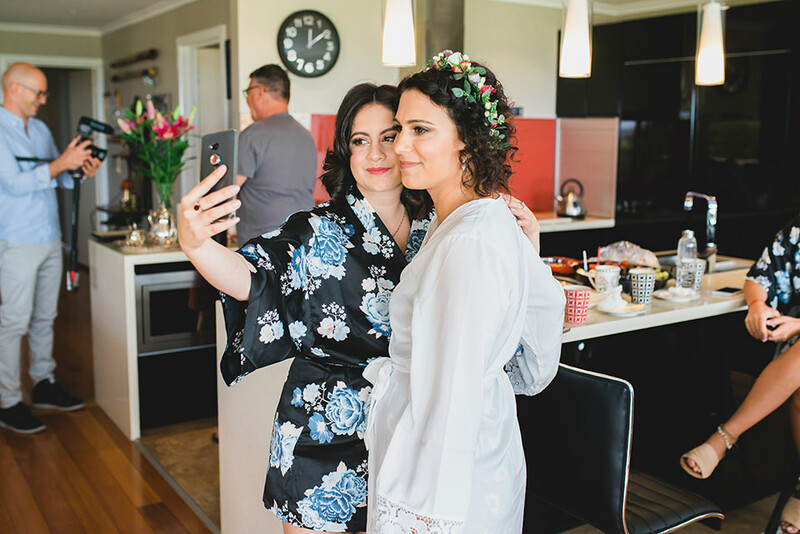 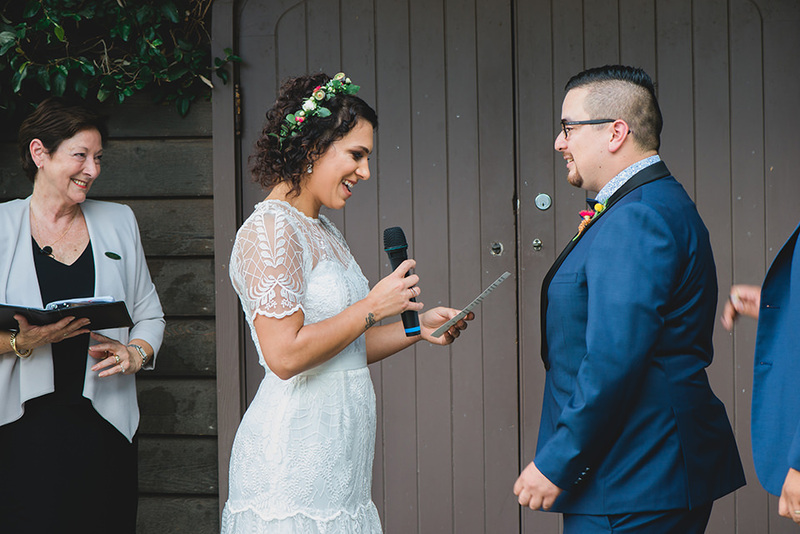 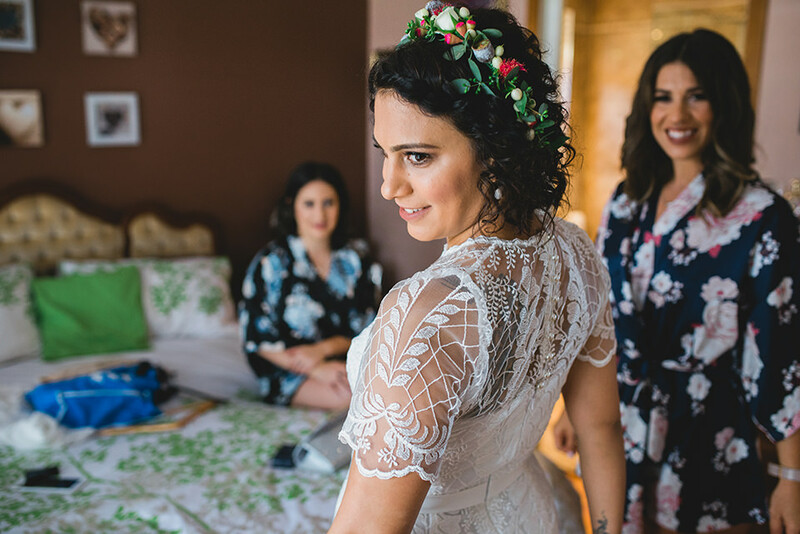 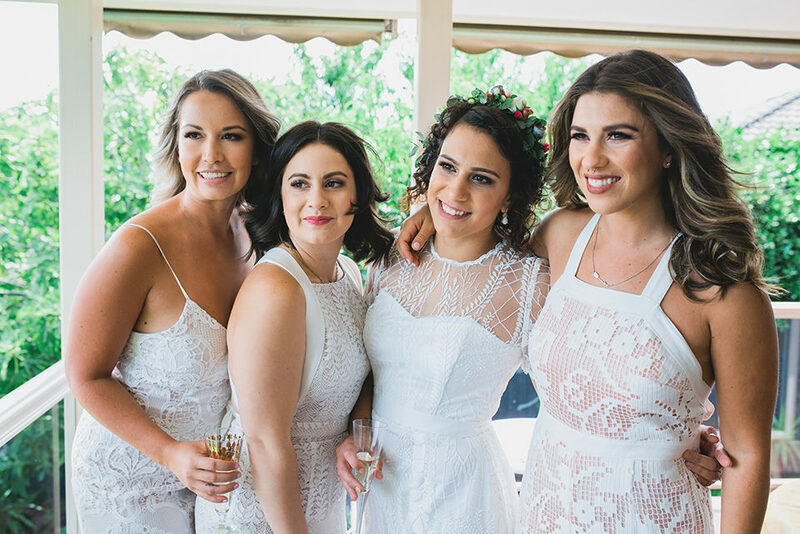 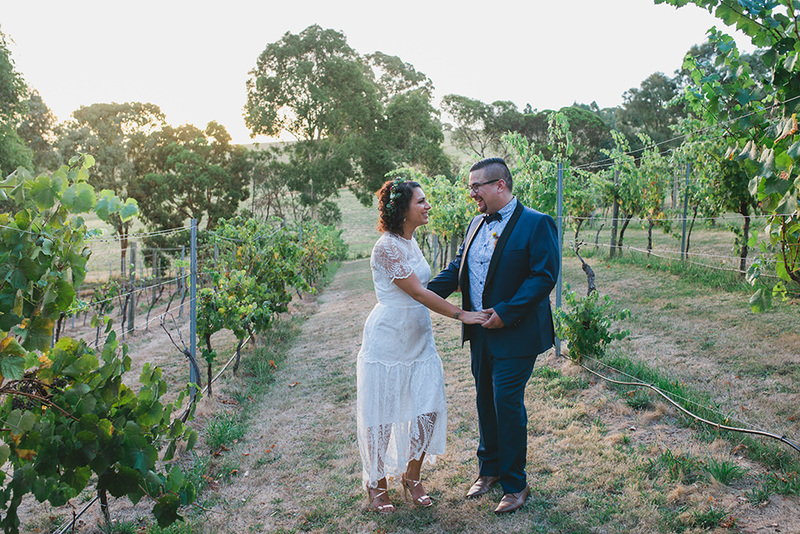 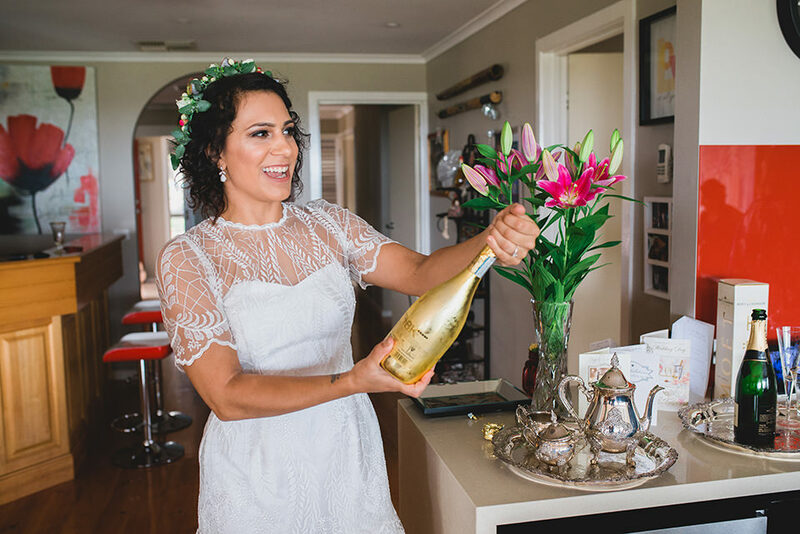 Carla & Daniel’s Inglewood Estate Wedding in the Yarra Valley was a blast! 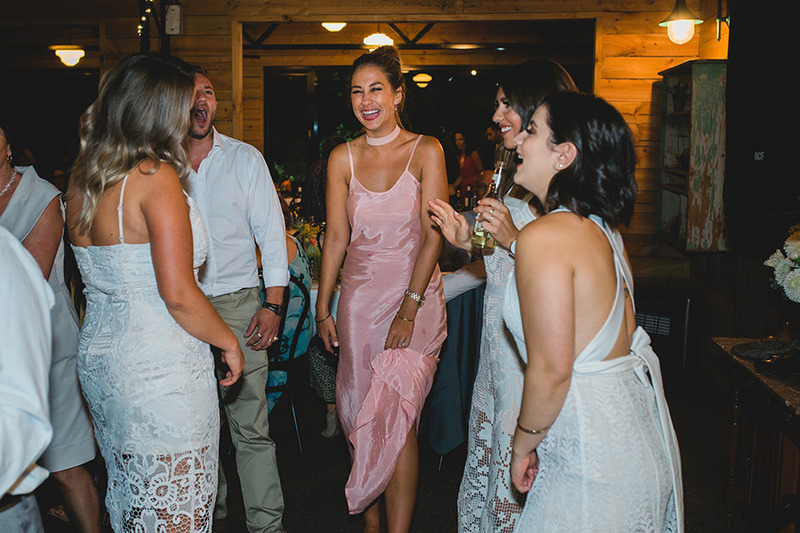 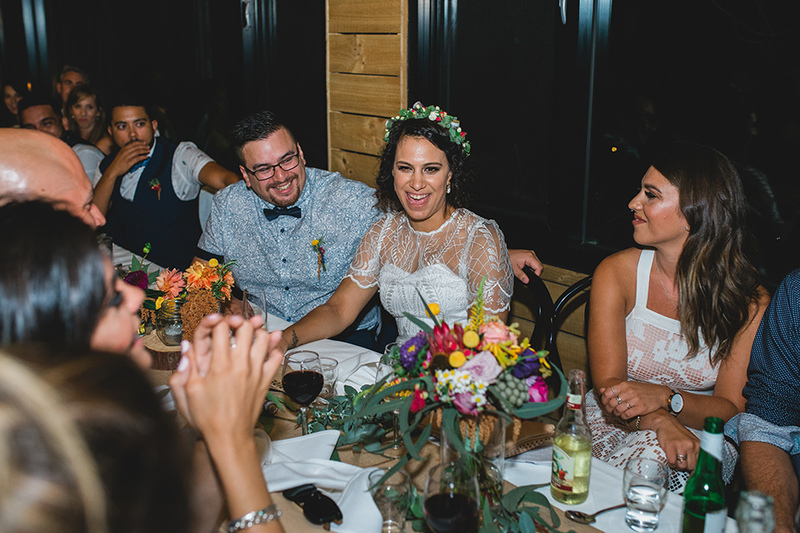 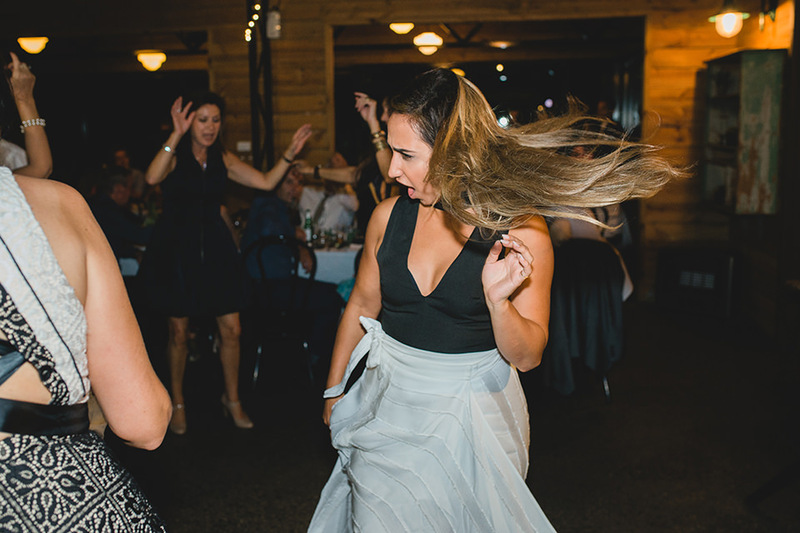 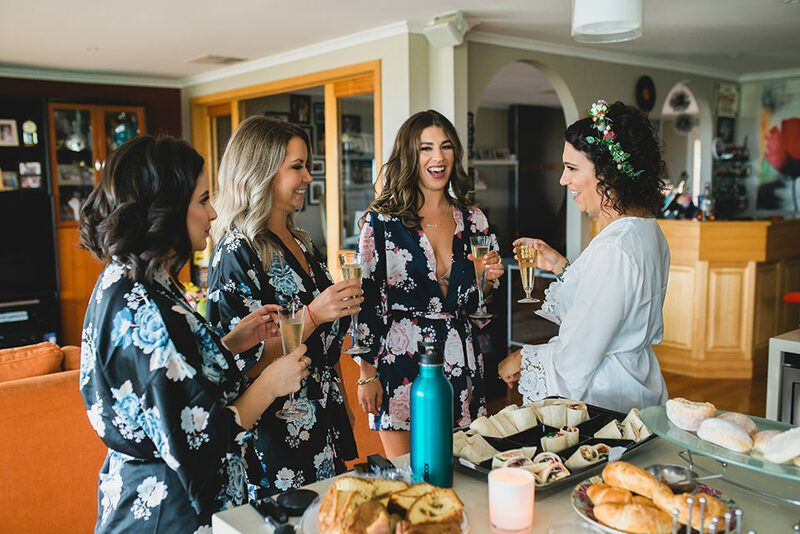 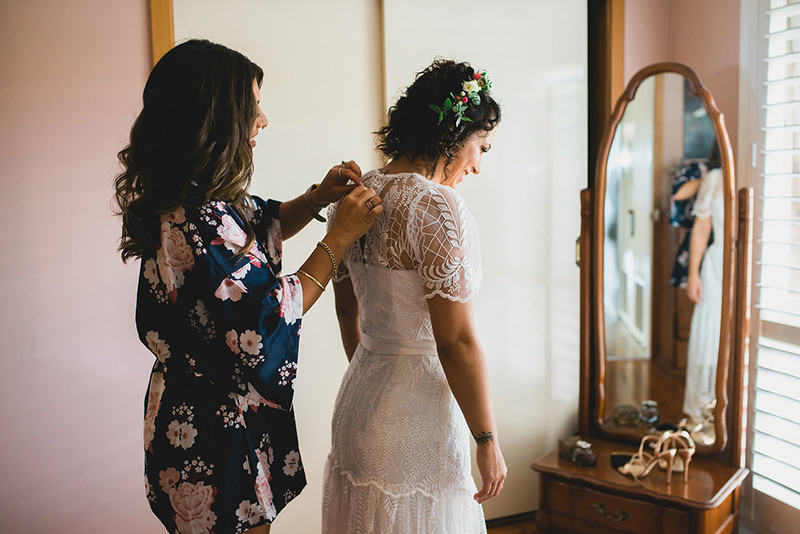 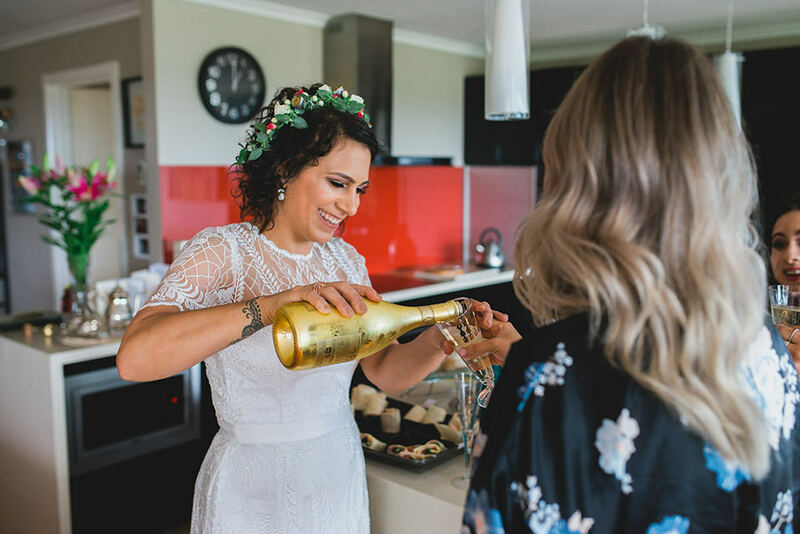 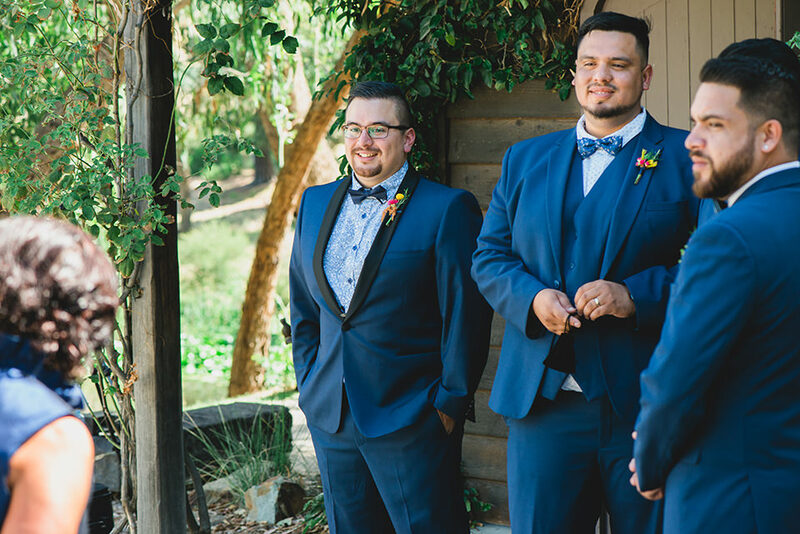 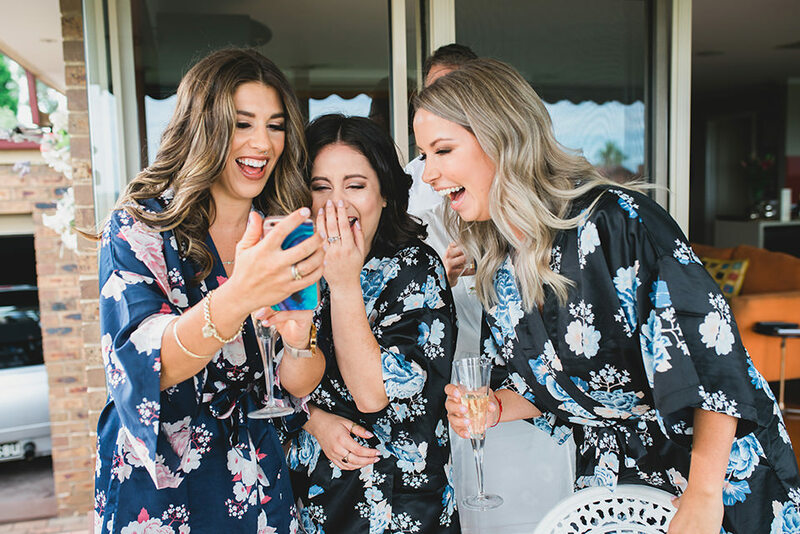 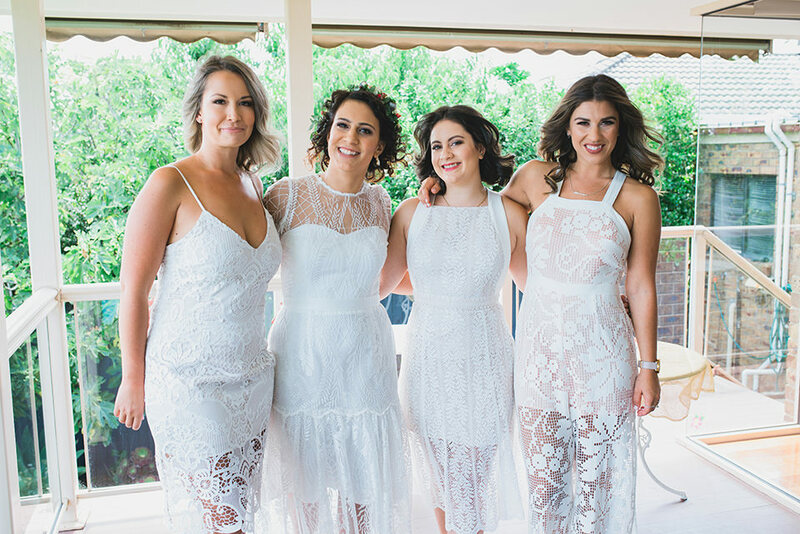 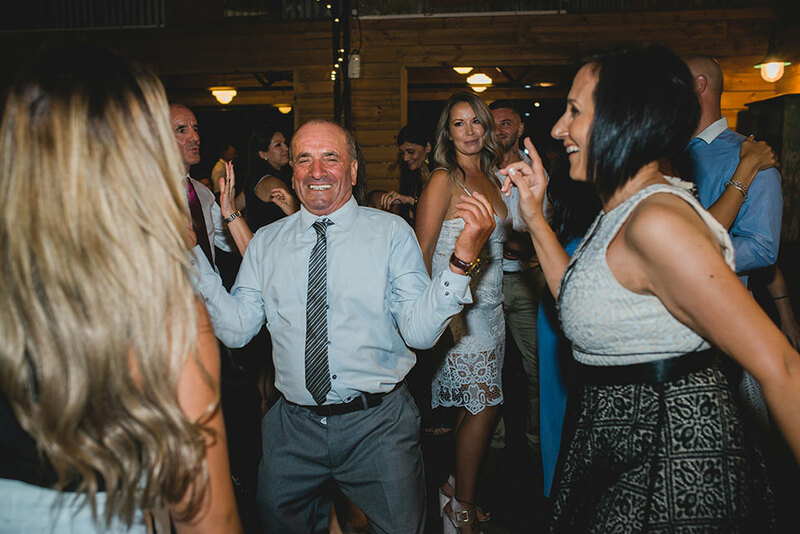 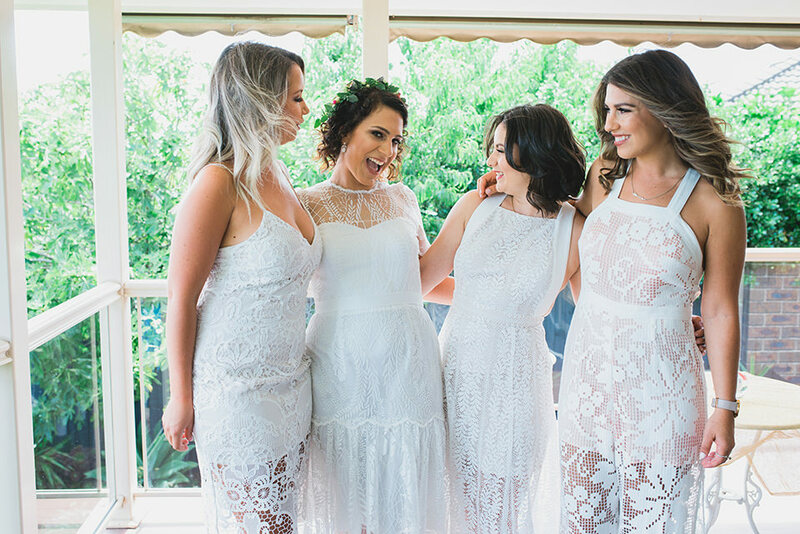 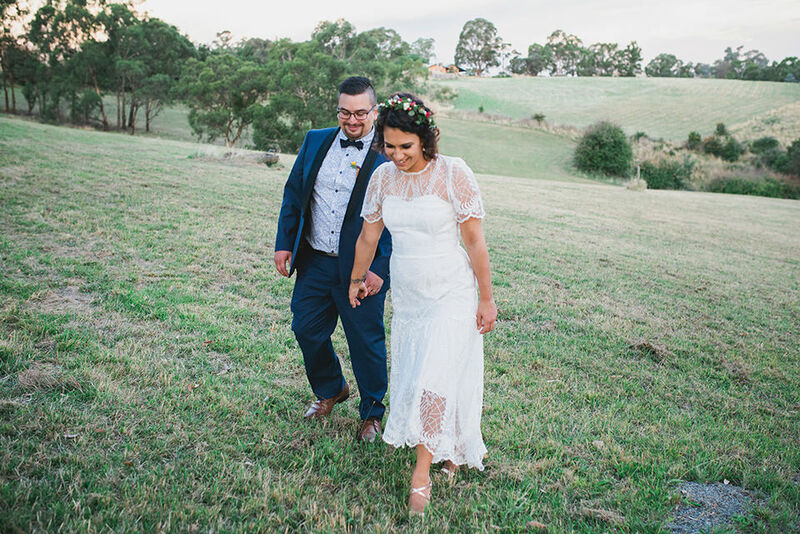 While they describe themselves as relaxed and down to earth people, there was certainly a lot of playful energy and laughter on their wedding day. 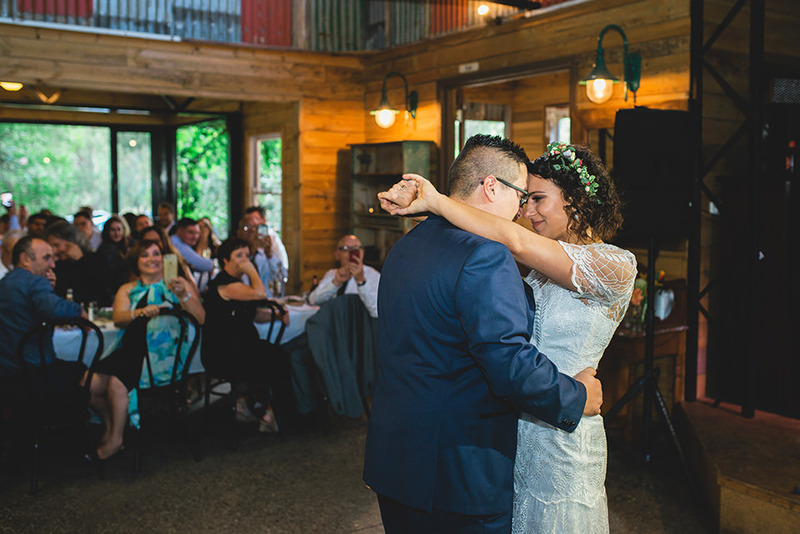 The whole day was full of laughs, tears, smiles, and a heap of dancing. 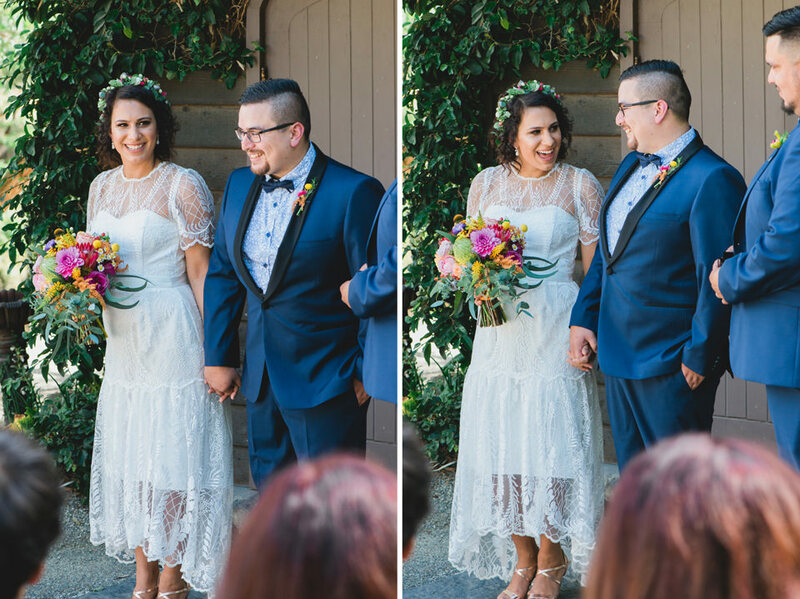 They did an amazing job creating an atmosphere of love and celebration to share with their family & friends. 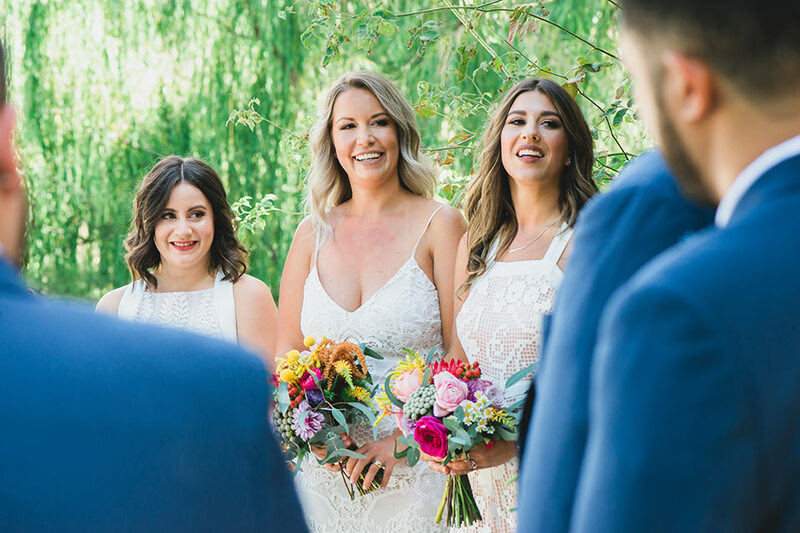 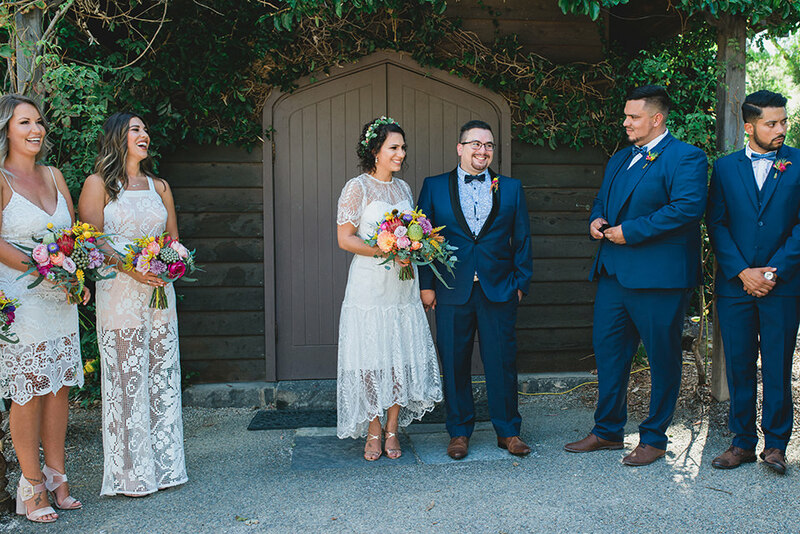 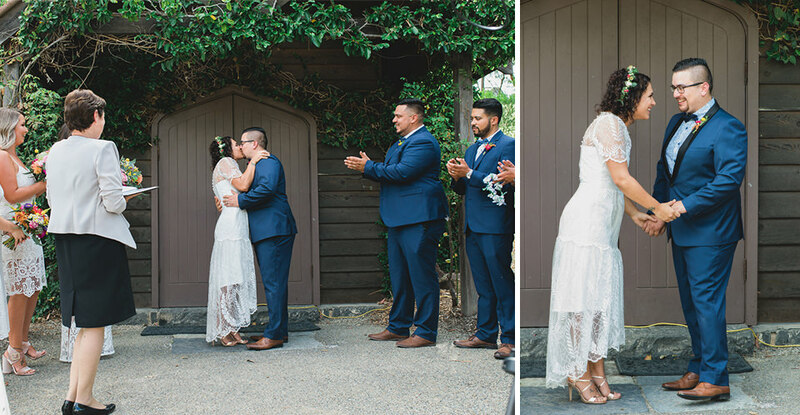 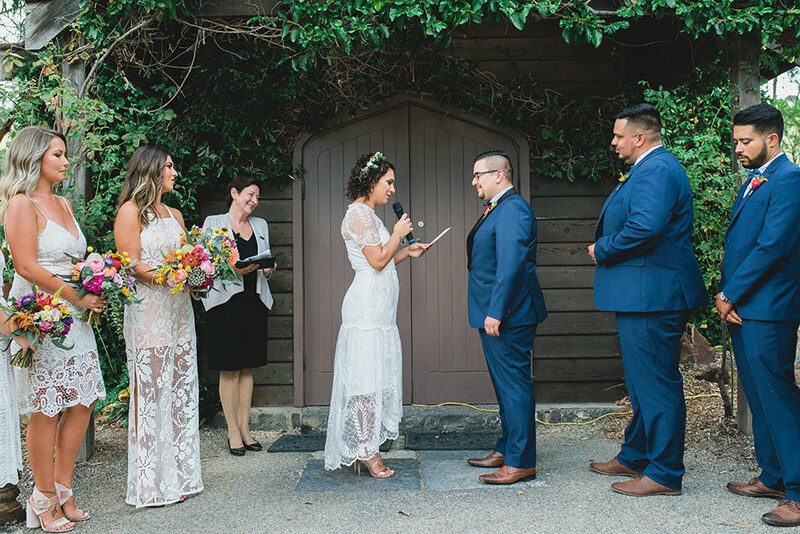 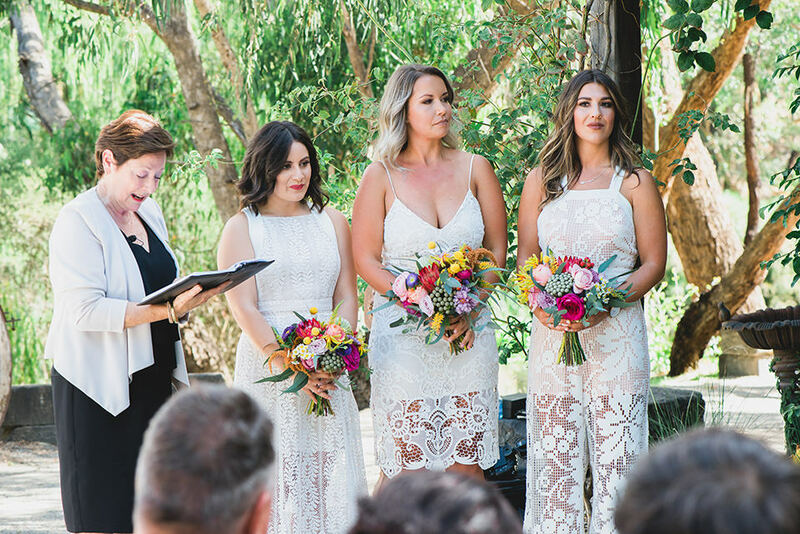 We were blessed with a warm sunny day, and Carla & Daniel chose to embrace the outdoors by having their wedding ceremony in front of the large doors to the ivy-covered chapel at Inglewood Estate. 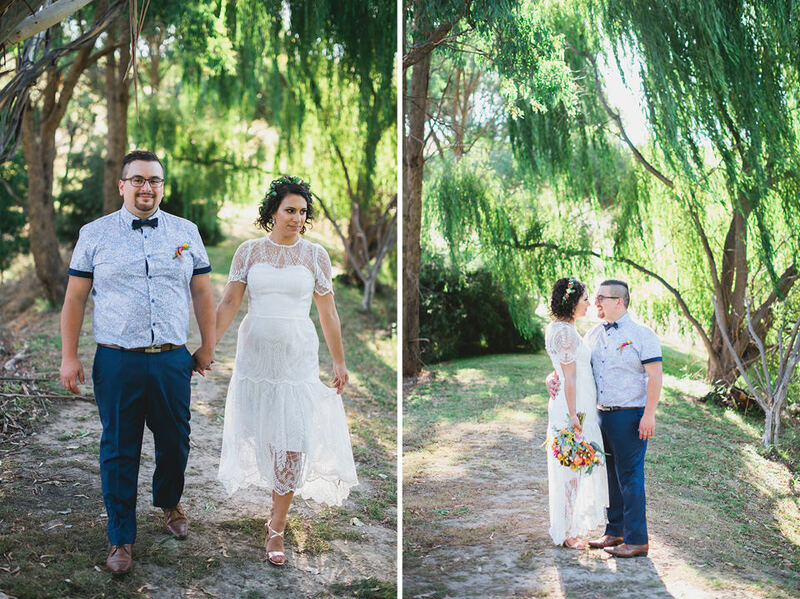 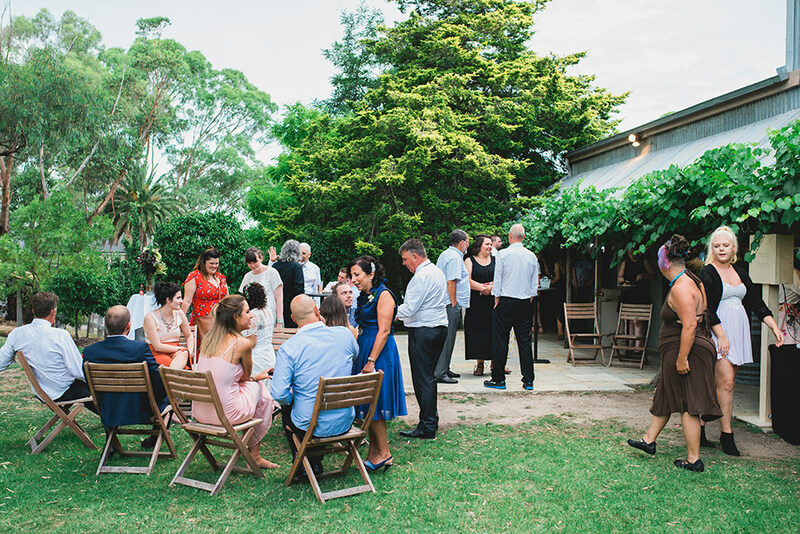 The grounds are pretty extensive (there’s a duck pond, a vineyard …heaps) giving us a tonne of different backdrops for a location shoot with the couples and the bridal party, before heading into an awesome evening reception on-site. 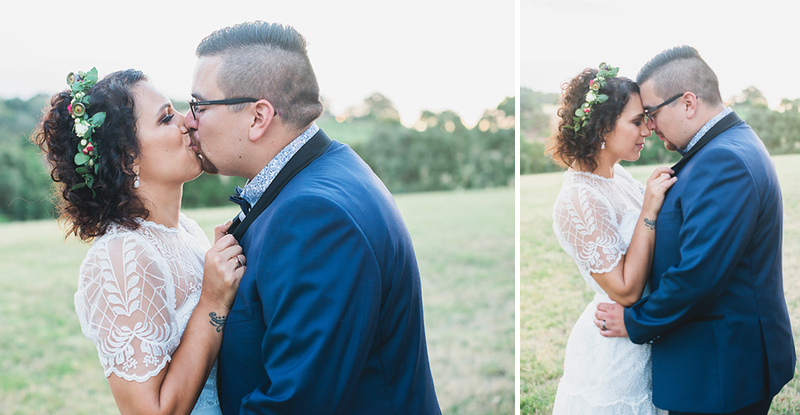 By the way, have we said enough how much we love this? 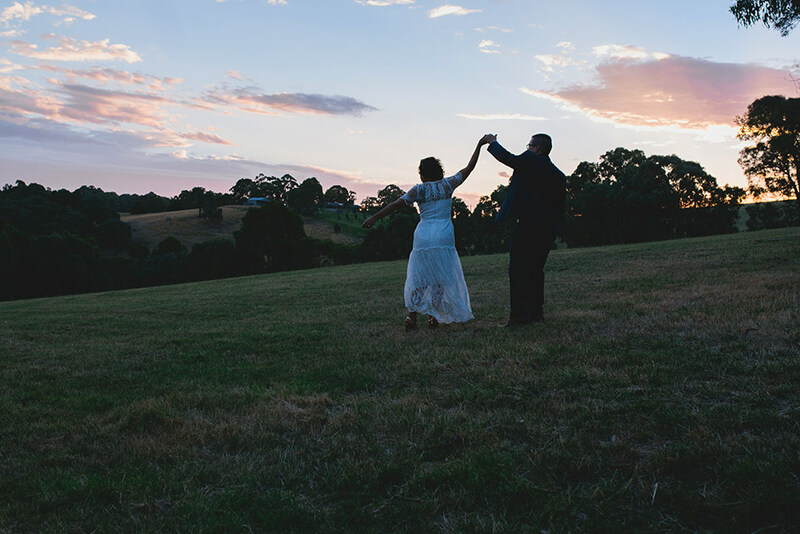 Choosing a wedding venue that caters for your ceremony, photo locations and reception, all at the one venue without having to leave the site – It’s such a great idea for keeping the day nice and relaxed! 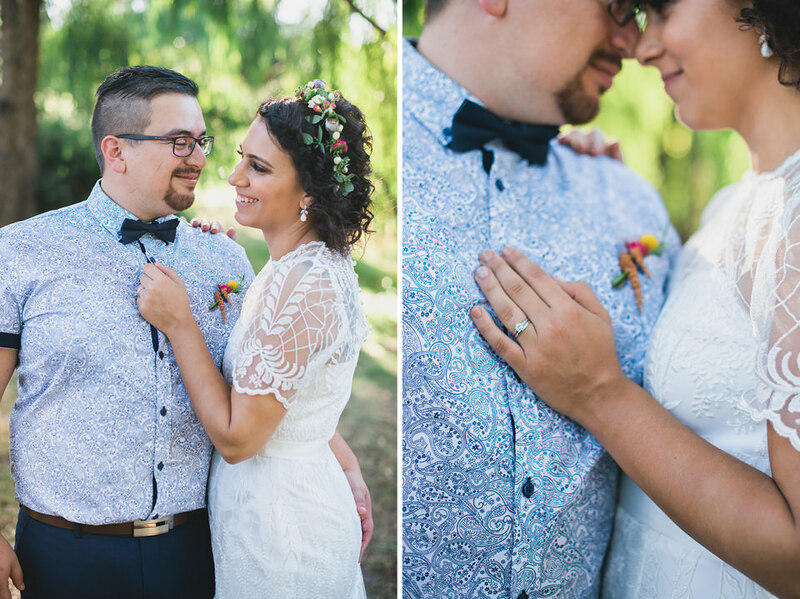 It was an absolute privilege to be a part of their day. 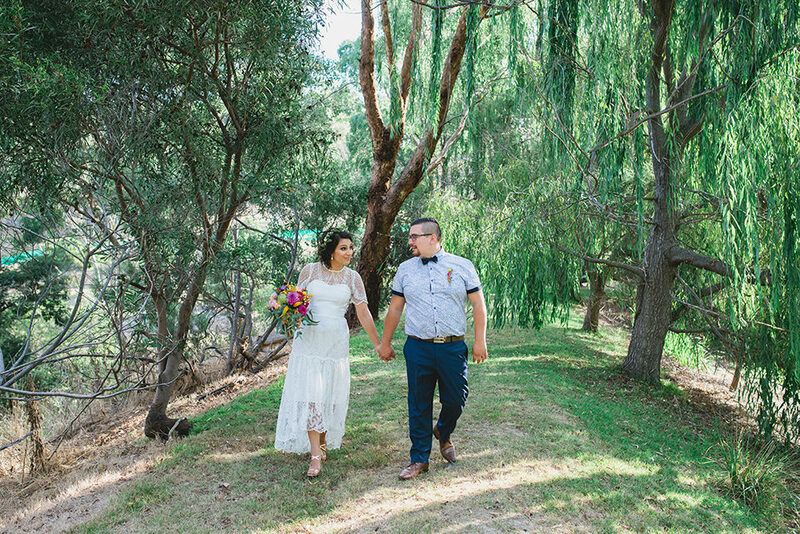 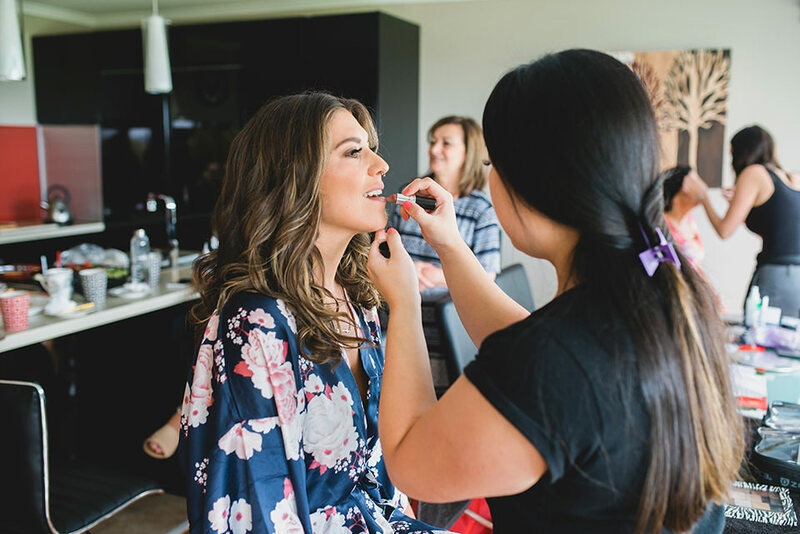 Here’s a look at Carla & Daniel’s Inglewood Estate Wedding photos. 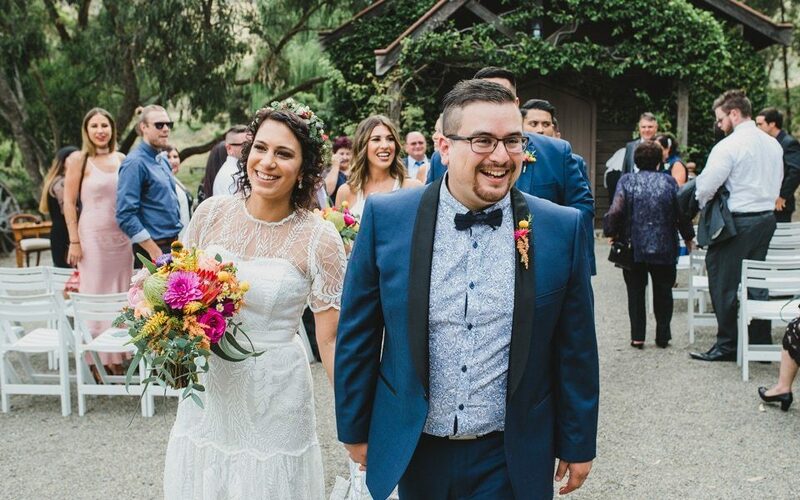 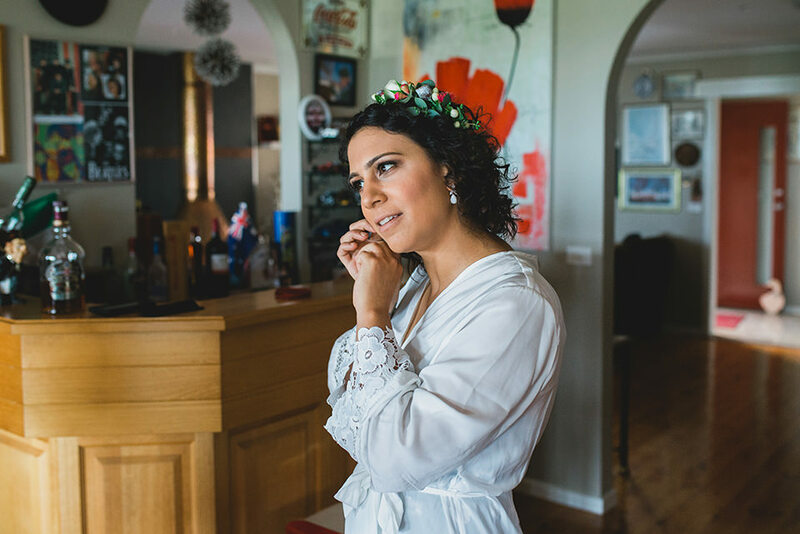 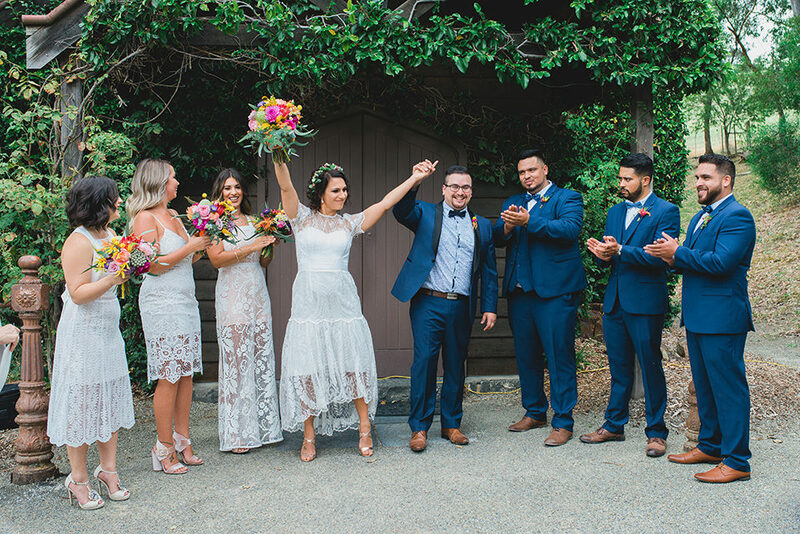 Inglewood Estate has a bunch of awesome photo locations all around their property, meaning we could get some awesome wedding photography right there on-site without leaving, and Carla & Daniel could get back to celebrating with their guests sooner. 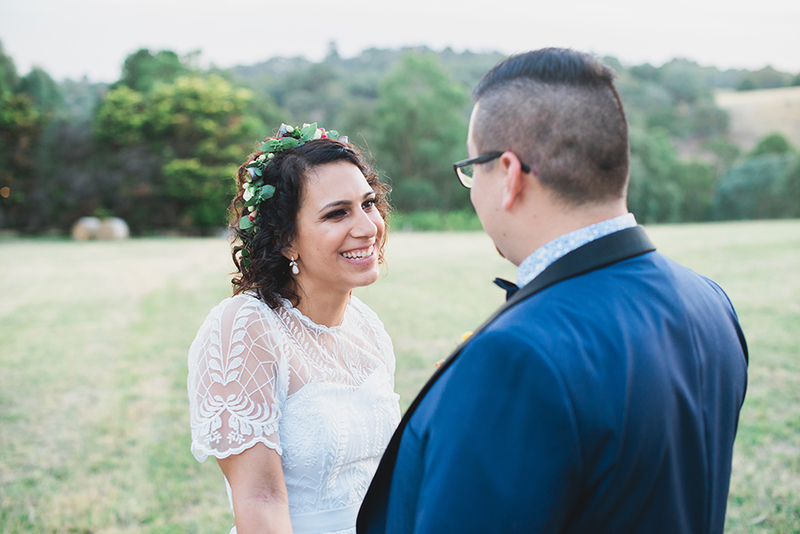 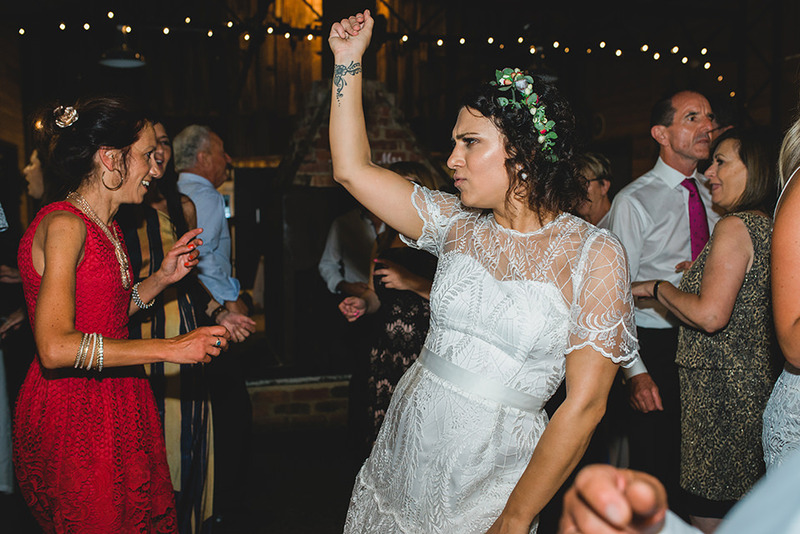 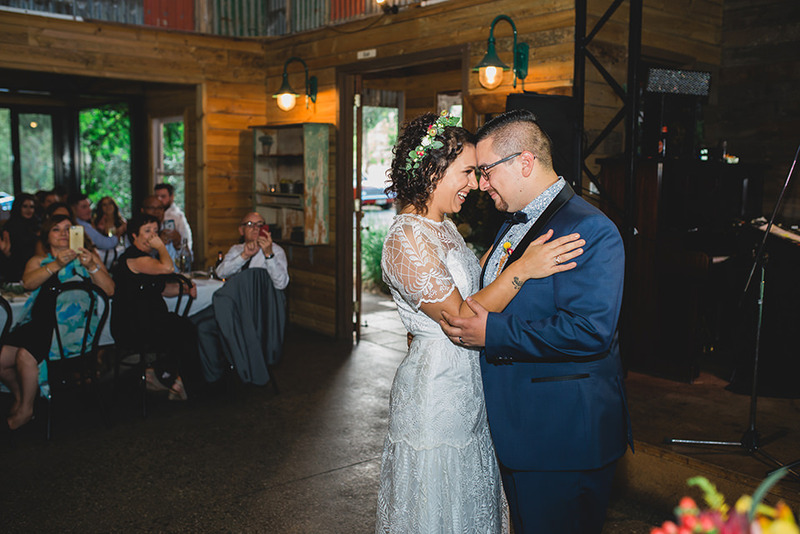 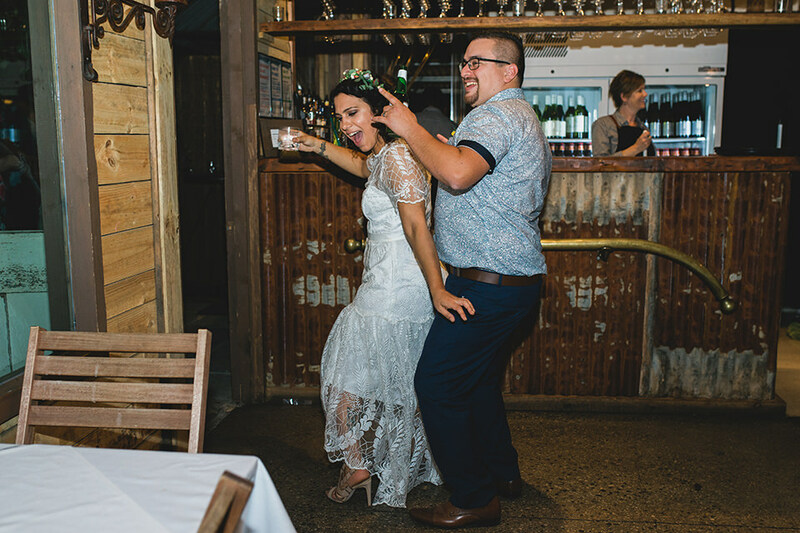 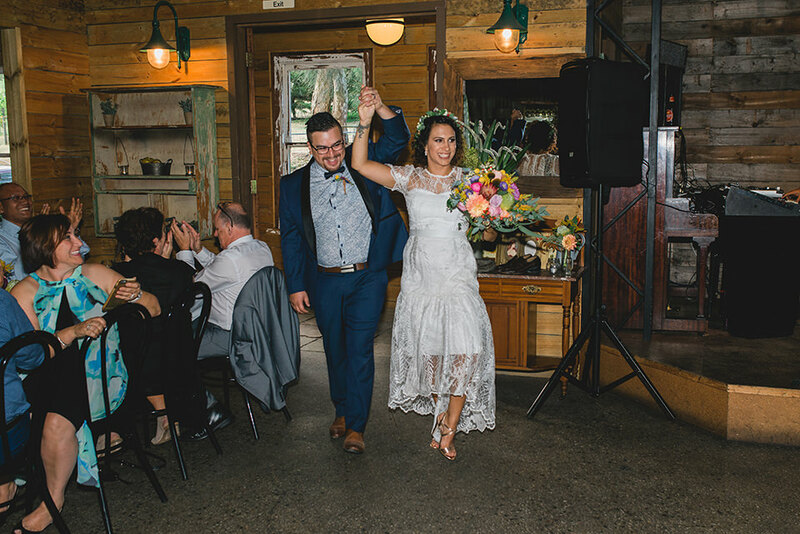 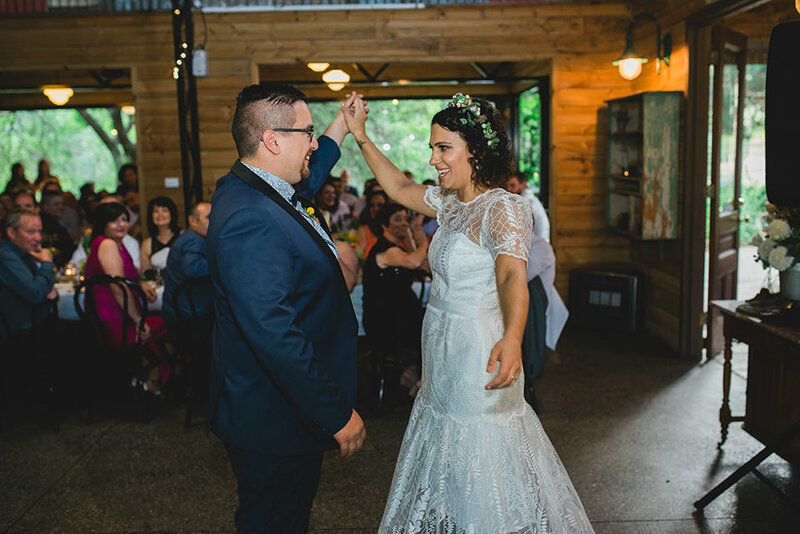 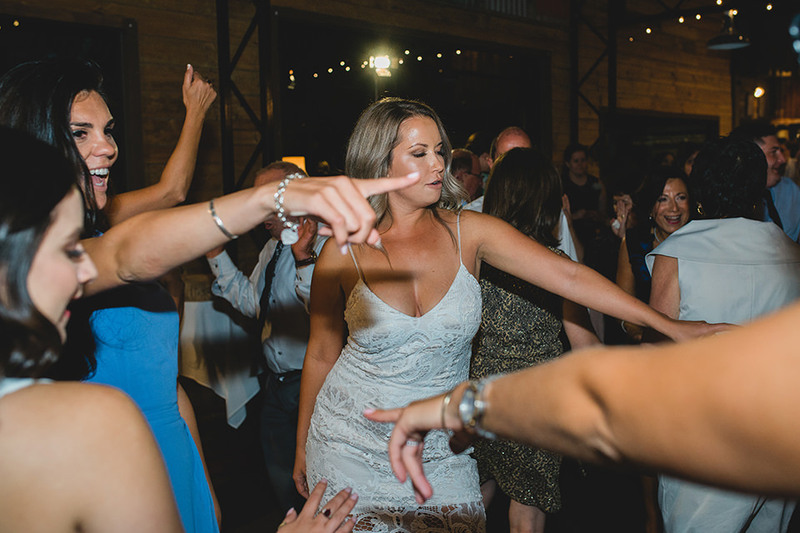 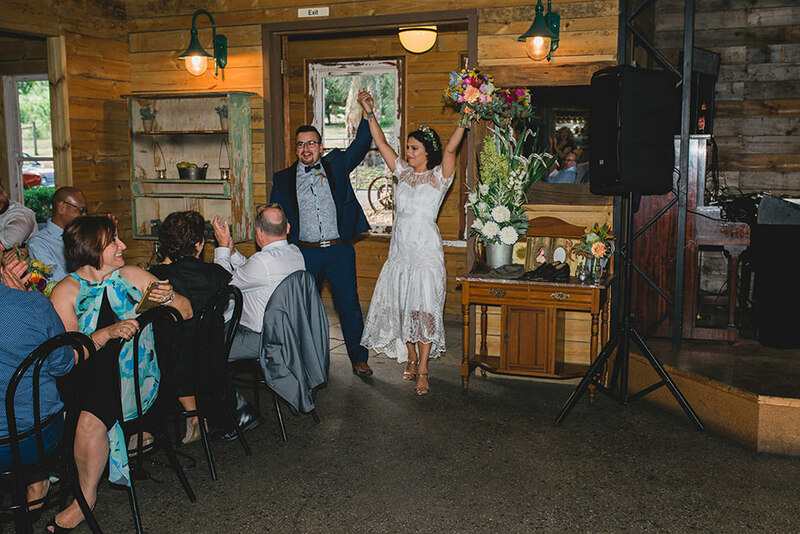 After entering their wedding reception at Inglewood Estate with a tonne of excitement, Carla & Dan went straight into their First Dance together. 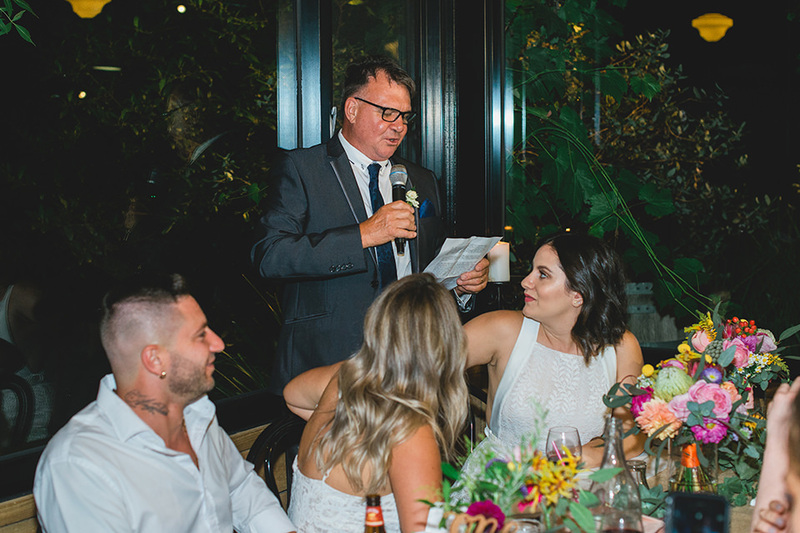 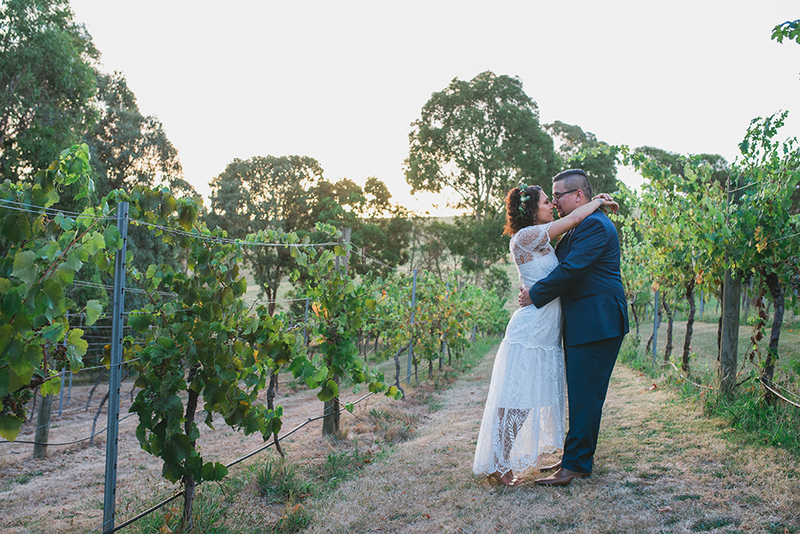 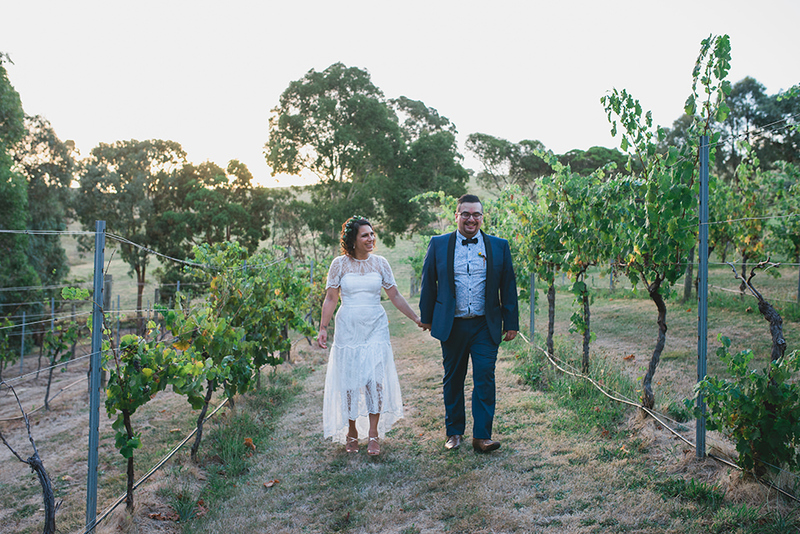 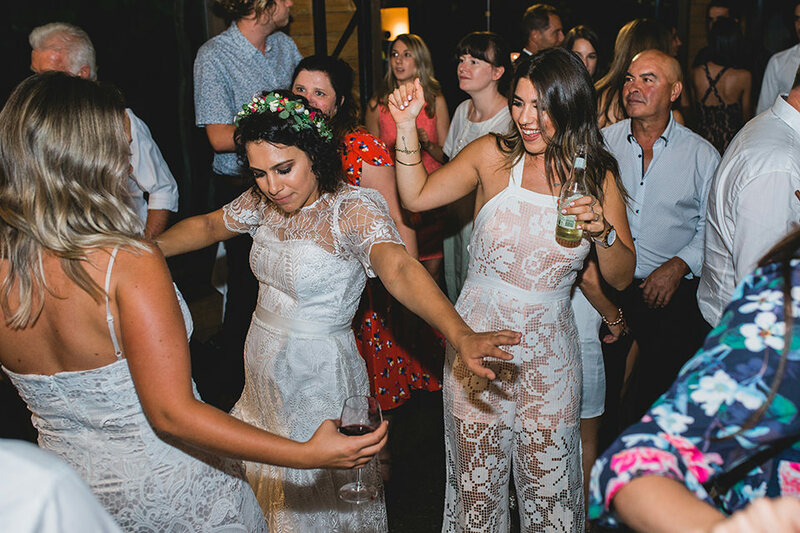 One of the great things about Melbourne weddings in summer, apart from the amazing rich greens that come out in nature – and specifically in the grape vines – is the gorgeous warm light during those late-night sunsets. 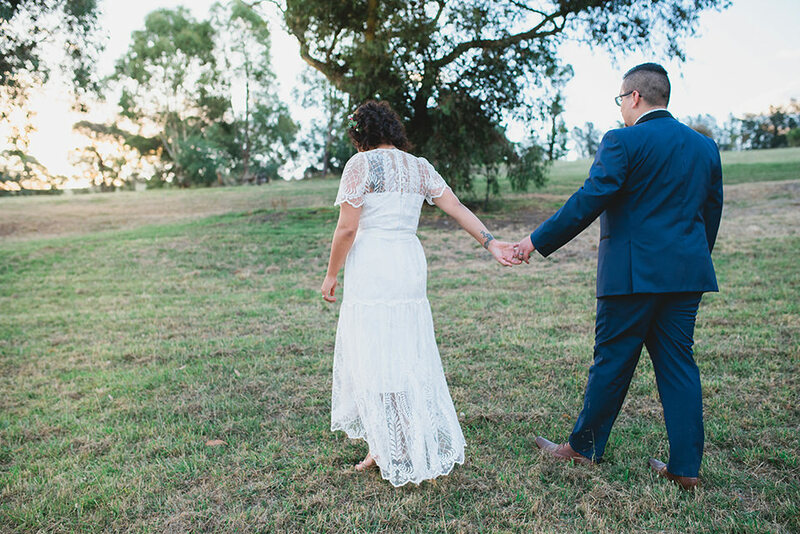 After dinner and the first half of the reception, we were able to steal Carla & Daniel away from their guests for a short time just before sunset to shoot a quick bonus round of Inglewood Estate wedding photos.